I was musing about a recent conversation where one guy's position was that BIM is hype, unnecessary and worse really just being foisted upon our profession in a scheme to get more money from "us". If I was seriously ill and a surgeon proposed cutting into me without considering using an MRI, CT Scan, blood testing etc. I'd be a bit on edge and worried about the outcome. More worried at least. Using an MRI or CT Scan doesn't supplant a surgeon's skill, training, knowledge, intuition or purpose. Years ago neither diagnostic tool existed yet today would it be appropriate to operate without them? And those dag-nab horseless carriages, too! Ain't nothin' wrong with my horse. Some days I can go 20 miles on it! Nobody oughta need to go farther than that! Hmmm, imagining a traffic jam on today's I-405 in SoCal except with horses and carriages and "something else"...on the ground. 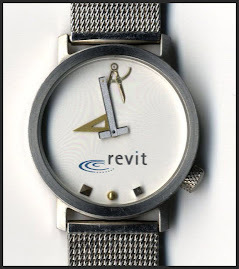 There must be something to this BIM/Revit thing when it's painful for people to do it the old way. 1.It's a cash-cow for autodesk's shareholders, so autodesk excretes a release every year, and move the icons all around (have you seen 2013?). This meets their obligation to maintain subscription revenues, and allows them to only minimally improve the program - whatever the market will bear. 2. Meanwhile, autodesk completely ignores all the user's wishlists. How many revit 2013 changes (I can't call them all improvements) address AUGI wishlist items? Is there a decent text editor? Can revit import Word or Excel files? Does it have a no-plot attribute for anything (like defpoints)? And on and on and on. I am 1000% certain that if my firm's paying clients asked for something repeatedly, and our firm did not provide it, we would lose that customer very quickly. 3. Meanwhile, autodesk provides dismal documentation. In general, autodesk could vastly improve the attitude of the paying users, by fixing every thing on the AUGI wishlist, then releasing a new version only every 4 years. Even the evil empire Microsoft is not so onerous in their release cycle. But autodesk management does not care about the attitudes of the users; they care solely about the attitudes of the shareholders, who have the power vote upper management in or out of their six-figure jobs. The soluton? All users (and all companies that spend ridiculous money on subscription, new hardware, lost productivity, training, etc. ), must regularly (every two weeks) buy at least 2 shares of autodesk stock (~$35 each). If all 1,000,000 ripped-off users and buyers of the software do this, within 5 years we will be the majority shareholders, and we will stop the unnecessary annaul excretion of flawed software that does not address the needs of the paying users. ScotTrade or E-trade or MerrillEdge, any one of them, can help you set up it up to be automatic. plawton, that's a different argument & issue. I think we're just at the beginning of massive change in the industry. In the short term, BIM lets us do the same thing faster - my 2 person firm does the work of 4 Autocad users easily. The $800 a year subscription fee is a small part of the savings I reap.